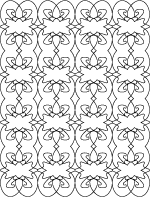 We have created many collections of printable black and white design patterns to use as adult coloring pages, digital stamps or personal craft templates. 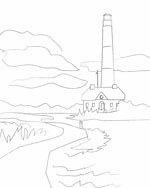 Each set includes a variety of simple and complicated coloring pages for grownups and teens or older children. These designs with detailed patterns and scenes are more challenging than children's picture book coloring pages and they can be used to create templates and patterns for other arts and crafts. 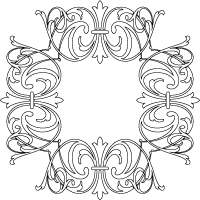 If you're in search of high quality design posters for craft designs, adult coloring or other art and hobby uses, checkout the collections we've created for you on this site. 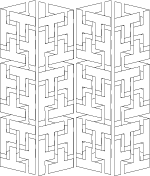 This page also features recommended adult coloring books by Dover and Leisure Arts, two well-known companies that specialize in arts, crafts, books and CDroms for creative hobbies. 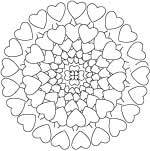 All our coloring page designs are original art hand drawn or digitally created by Lee Hansen (leehansen.com) and are offered free for you to download for any noncommercial use. You can post thumbnail images on other sites if you link back to this web site. You cannot upload any content from this site to another server or use any images from this site to make products for sale. 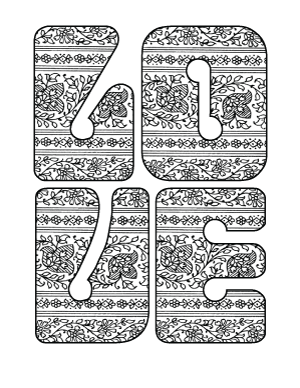 You'll find popular adult coloring page collections here including mandalas, Celtic knot patterns, tattoo art, shapes and meaningful symbols, quotes and word art, 3D and optical illusions, geometric coloring designs, flowers and florals, Asian coloring pages and a few young at heart themes from our drawing board: chopper motorcycle, tricycle and other childhood toys, peace signs, VW bus and many more. 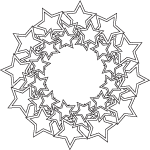 Printable coloring sheets have many uses beyond filling in the designs with markers or colored pencils. 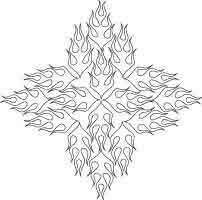 Many people use coloring page art to design tattoos or body art. Others create their own off-paper art and crafts by using the artwork lines and designs as a template. Combine images to make unique designs and patterns for paper crafts, embroidery, fabric painting, die cuts and stenciling. 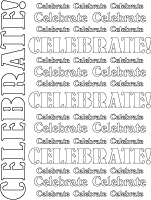 Many of our line art drawing images work very well used as digital stamps and iron on transfers. Shop right here on site for recommended coloring books, or click a sample and visit the world's largest publisher of coloring books for adults and kids.